Ad Lib is an ocean thoroughbred with the style and elegance of a true aristocrat. 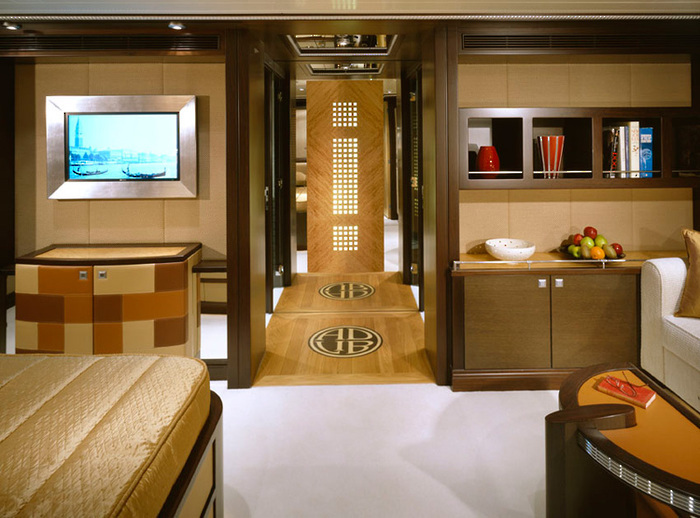 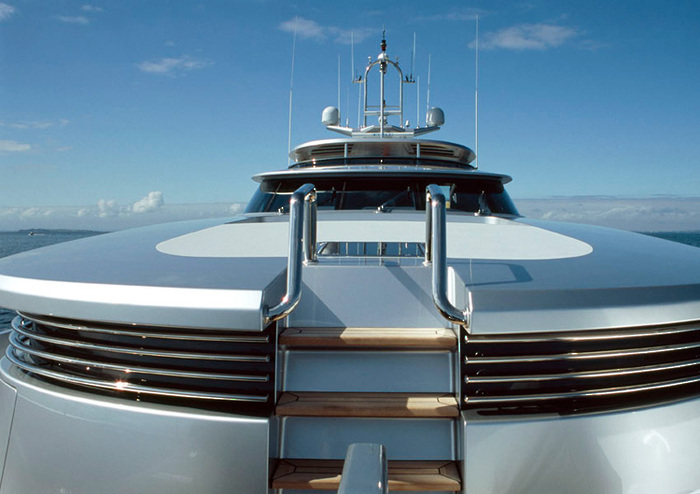 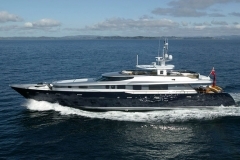 Designed by Dubois Naval Architects for an experienced and discerning owner, Ad Lib reflects the quality that comes from the single-minded pursuit of excellence. 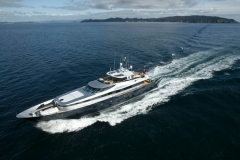 Built by Alloy Yachts, this 40m (131ft) motoryacht is an accomplished passagemaker that cocoons owners and guests in comfort while reeling off the miles. 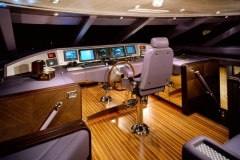 Powered by twin 1450hp Caterpillar diesels, Ad Lib has a cruise speed of 13 knots and a sprint speed of 16.5 knots. 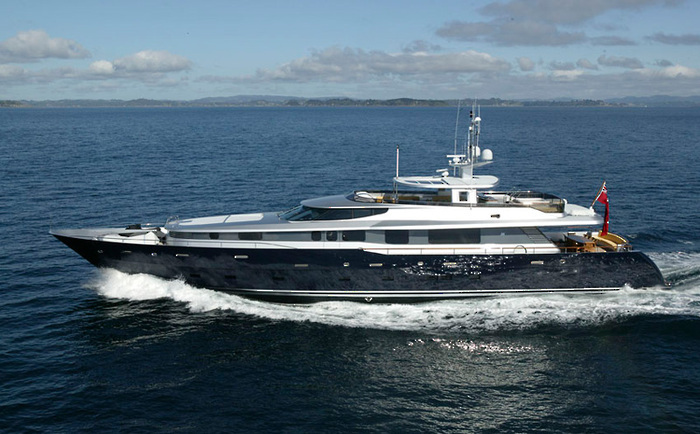 Generous tankage allows for a range of 4,500nm. 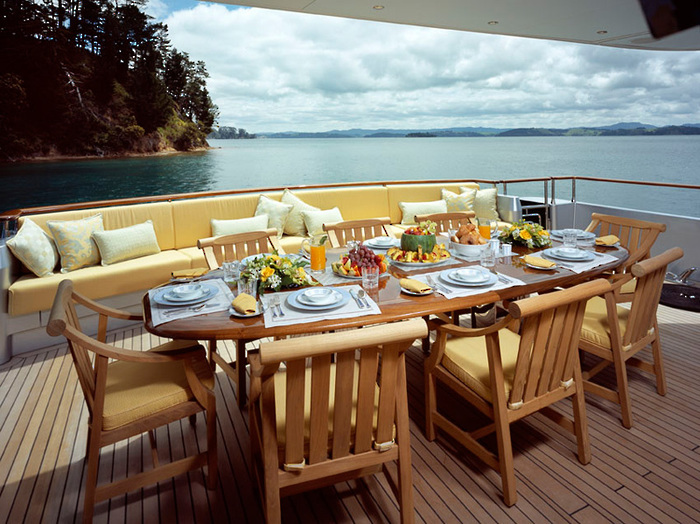 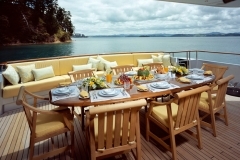 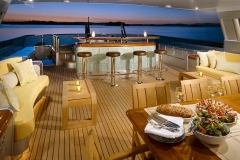 On board, a wide variety of indoor and outdoor entertainment areas ensure that owners and guests can be as convivial, or as secluded as their hearts desire. 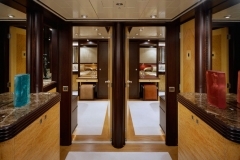 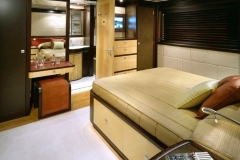 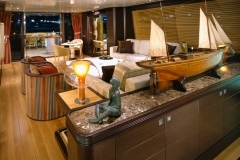 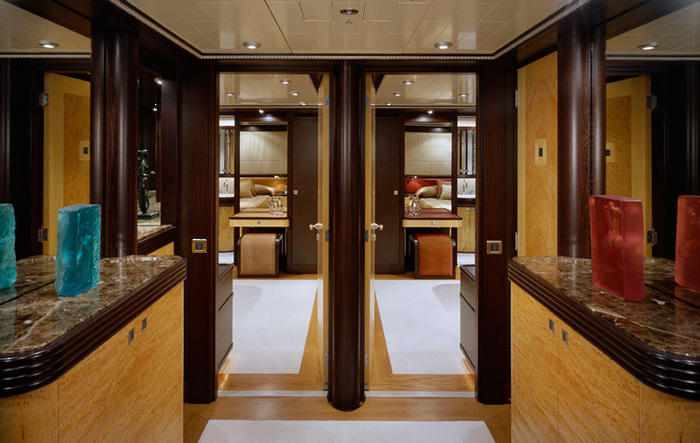 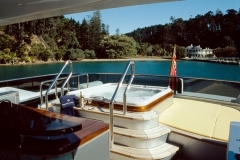 An array of water-toys in the large stern ‘garage’, or the fully equipped gym, cater to the energetic. 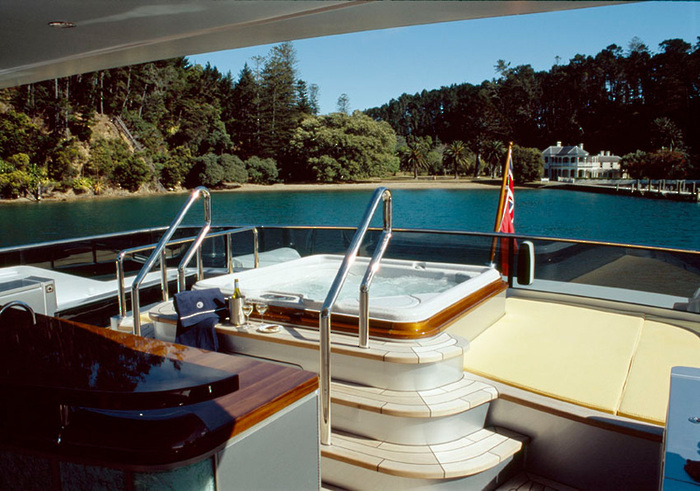 More restful hours can be passed on the sun-loungers, curled up with a book on a sofa, or relaxing in the spa.